Surfing is an activity you can do at nearly any age, a point to which Costa Ricans are aware of. Check out how Costa Rica won a part of the Masters World Championship Surf Competition. Story here! It’s definitely not a very popular sport here in Costa Rica (YET!) however back in the states, the cyclocross season is heating up. This weekly video blog follows one of North America's most famed cycling personalities as he travels from race to race working towards the World Championships later this winter. Story here! This video of a cat facing off with a mountain lion certain makes you realize how wild some parts of the world still are. We are not sure what the Costa Rican equivalent of this would be, but let’s hope for our on-base pets sake we don’t have any run ins. Story here! Sometimes visits to Costa Rica inspire more than a couple good photos. Check out how. Story here! It’s been a couple weeks, but the results are in! Check out the individual event results as well as the overall results. Story here! 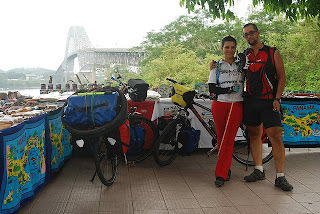 It feels like only yesterday (it was actually a week or so) that we were sitting here writing about our board member Laura Avila Bolanos and her cycling adventure around South America. No sooner did we press the ‘publish’ button on our blog did we meet two American gentlemen riding their bikes all the way from Canada down to Chile, spanning both North and South America. The two gentlemen, Bret and Ryan, have spent many months on the road, documenting their adventures meticulously. Meeting some of our traveling staff in Guatemala, Bret and Ryan reunited with Costa Rica Outward Bound in Manuel Antonio and traveled up to our rain forest base in San Ramon de Tres Rios. Spending a couple days exploring the local features around the base as well as enjoying a few days off the bike was certainly a well earned treat for the traveling duo, whose ability to drink coffee and pull off some very serious beards is next to none. 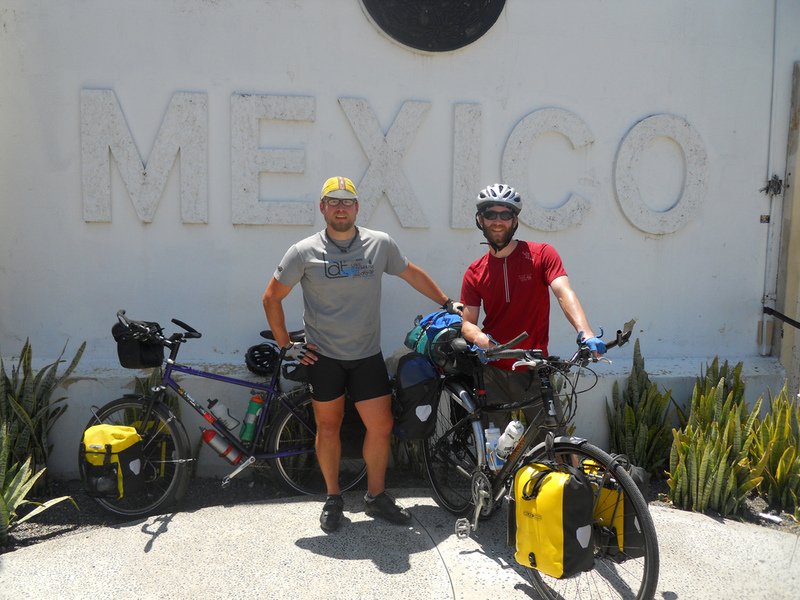 The pair of traveling cyclists will now be heading down to Panama, and then onto where ever the road takes them. Good luck Ryan and Bret! 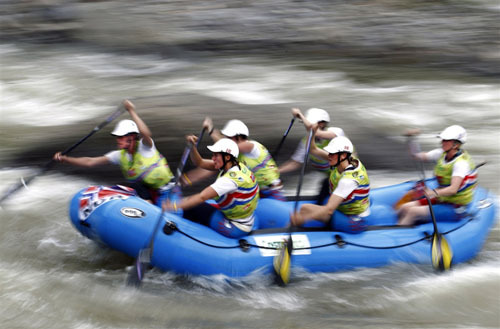 The 2011 World Rafting Championships were held in Costa Rica this year on the famous Pacuare River. Teams from 32 countries paddled the same rapids many of our students learn to guide rafts themselves. I could end this post right here and its title would already make sense, but let me explain just to make it clear. The fact that our students get to experience the exciting world of whitewater rafting on a river deemed worthy of hosting the World Rafting Championships is equivalent to learning how to play soccer at Soccer City Stadium in South Africa (that's where the FIFA World Cup took place, just as a reminder). So maybe the sport isn't quite as popular, but needless to say, it does make our students way cooler. The event consists of four different competition styles: the Head to Head, the Downriver, the Sprint, and most technical of all, the Slalom. All are injected with whitewater adrenaline, but by the time I made it to the river the only one remaining was the Slalom. Never have I seen such a higher density of athletes speaking foreign languages, inflatable rafts, and bulging forearm muscles in one place. The atmosphere was great, especially considering that I was watching directly from the river bank accompanied by the secondary team from Croatia - they explained the history of a sport sliding more and more into the mainstream, its significance to them as raft guides, and how judges score the complex maze of slalom gates. Below, the American team paddles through the middle section of the course (I learned that the man proudly waving the flag is the father of one of the members). As I watched the representative teams from so many different countries impressively navigate their ways through the course, I couldn't help but be reminded of the time spent on the river with previous Leadership Semester students on the same stunning river. We would joke about how we were waiting for dinosaurs to storm their way to the water's edge because clearly this was Jurassic Park we were paddling through (naturally, anyone who didn't play along would be the first victim). 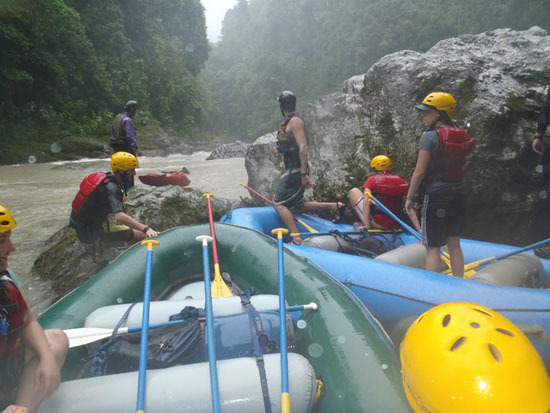 The Leadership students were on the Pacuare not to learn how to avoid Hollywood reptile encounters, however; they were on the Pacuare to learn to how to apply their Whitewater Rescue Technician (WRT) training and guide the boat through some less-than-taciturn rapids. Upon wishing my countrymen good luck in the upcoming heat, they admitted their jealousy -- the American team admitted that they were jealous of the Costa Rica Outward Bound students for getting to develop their guiding skills on such an amazing river. If you're interested in following the current Leadership students' adventure here in Costa Rica, including their training on the river, be sure to check out the regularly posted course updates. Also keep in mind that our brand new Tropical Challenge Semester course offers the same guide training on the same river. It's Friday and we have got some awesome links! Many people know about La Ruta de Los Conquistadores. Last year’s 2nd place overall finisher Alex Grant of the United States recently updated his blog with his latest races and adventures. Seems like Alex has been keeping up with the good results! Story here! Many times it feels like the official car of Costa Rica is the Toyota Hilux. This capable 4 door pickup can be seen nearly everywhere, including on the Costa Rica Outward Bound base. Maybe its popularity can be attributed to the sensations felt by the gentleman in this Toyota commercial. National Geographic is always a winner when it comes to good content; take a peek at these two links. One is about adventure towns, the other about some new styles of adventure sports. Story here and here! 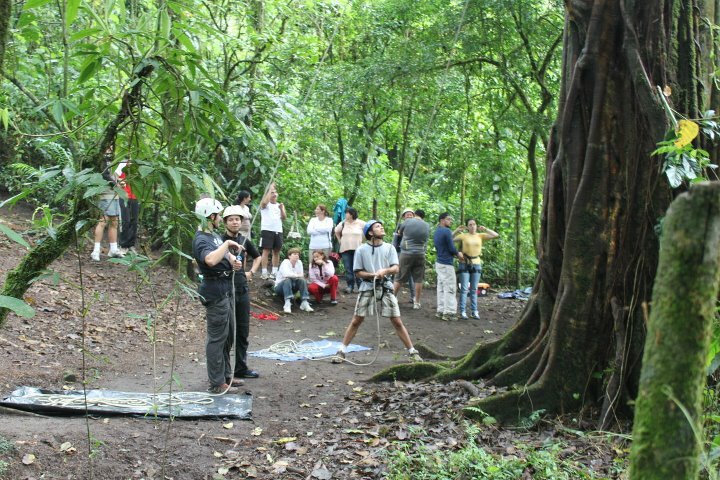 With the extreme terrain of Costa Rica, it’s often fun to imagine what imaginative sports we could create. The epic hills and mountains often inspire thoughts of extreme hill rolling, however the excellent blog Adventure-Journal has done the leg work for us, by presenting downhill tri-cycling. A sport we neither encourage nor think is a particularly good idea. Story here! It’s always interesting to learn about an adventure that makes one quickly realize there is a lot to learn about suffering and adventure. Such was the case for some of the Outward Bound staff as they visited a local art exhibit featuring photos, stories and equipment from a cycling trip that circumnavigated South America. Spanning from May of 2009 all the way to December of 2010, Costa Rica Outward Bound board member LAURA ÁVILA BOLAÑOS and her traveling companion WAGNER CALDERÓN RIZO traveled by bicycle around the continent of South America, encountering enough peoples and locations to fill a lifetime of memories. Capturing these images was done with great skill, and can all be viewed here. Spanning over 13 countries and 17,602,462 kilometers, Laura and Wagner peddled their way through an adventure to remember. Ever since Wagner was a teenager, it had been a dream to accomplish a task like this. This dream to conquer South America combined with the need for a break from the regularities of daily life were the perfect motivations to put the day job on hold and take part in an adventure that would take over a year. As said by Laura and Wagner, life is not only for working, but for living also. And what better way to live than to experience an entire continent by bicycle! Take a look at their awesome web site! 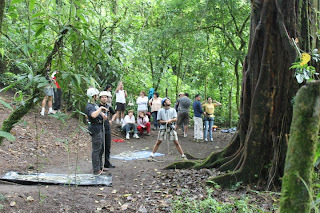 Costa Rica Outward Bound keeping busy! Even in the off season, our instructors are keeping busy with educational programs and professional training. Recently the base camp at San Ramon de Tres Rios played host to representatives from schools involved in the International Bachelorette (IB) program, helping to teach team building skills and emergency preparation skills to educators from around Costa Rica. Following the model of CAS (creativity, art and service) the Outward Bound staff helped lead activities such as a tree climb, group management training and first aid instruction. All in all it was a fun weekend of learning, with educators getting to experience a taste of what our students take part in every spring, summer and fall! 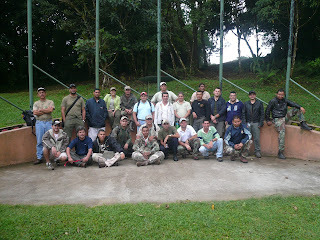 Further training took part in Iztaru, a local Boy/Girl Scout reservation near our base here at Costa Rica Outward Bound. Our staff helped to train the instructors at the reservation on first aid, CPR, technical ropes know-how as well as general climbing wall procedures. Training with the Tico Scouts! Another great Monday is upon us here at Costa Rica Outward Bound headquarters, and it is time for some our favorite links! White water rafting is a big part of our activities here in Costa Rica, and it is also the home of the World Rafting Championships. Story here! Costa Rica is home to numerous volcanos, some of which are more active than others. Story here! It is really no secret to us, however here is an interesting article about how exercise can strengthen the brain. Story here! The Ticos are always very creative with their construction methods, and Bamboo is certainly a great medium to work with. Story here!